Before any treatments are administered we require patients to have a consultation. Like all cosmetic treatments here at Cosmetic Surgery and Dermatology of Issaquah, we want to make sure you are a good candidate for microneedling and this is the correct treatment for you. We want our patients to be fully informed with what to expect, downtime, possible skin reactions, and any restrictions. The ultimate goal is to set up proper expectations so we can meet them. Your consultation will be done by a medical professional. 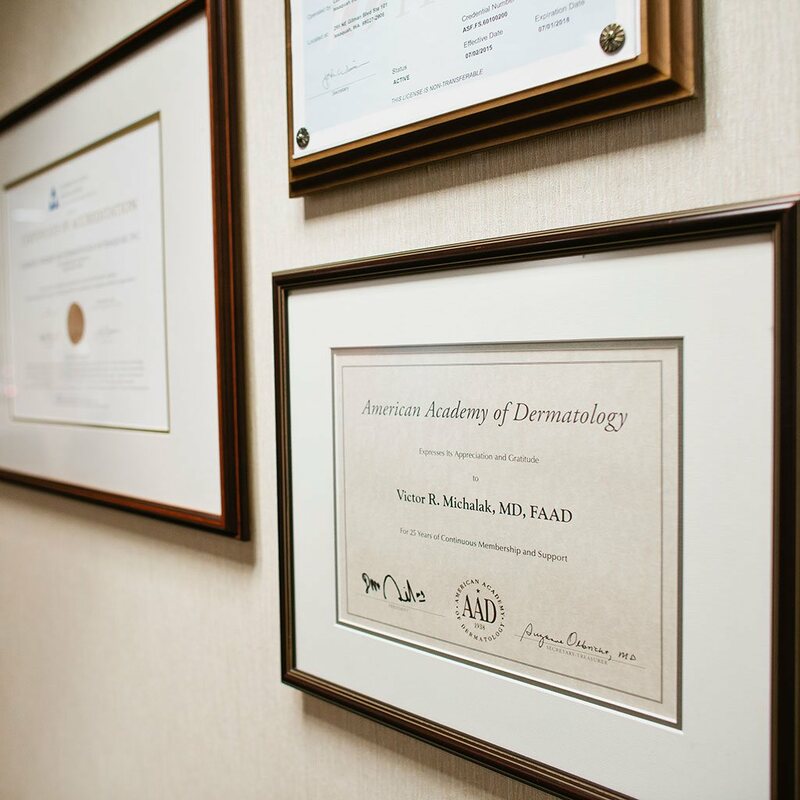 Either one of our certified physician assistants or if necessary, Dr. Michalak will evaluate your skin, giving you the go-ahead to proceed. Treatments will be performed by Leslie Carney, Master Aesthetician or in some specialized cases Dr. Michalak will perform them. All treatments are supervised by Dr. Michalak. We will apply topical numbing before so the treatment is comfortable. Microneedling is a quick and pain-free procedure, the average treatment time is 30 minutes. Downtime will be explained but most patients will have social downtime for a few days up to a week. There can be redness, dryness, and peeling. You will also want to avoid the sun. How Does Microneedling Benefit my Skin? Your skin will look better. SkinPen results include improved skin texture, pore size and a reduction in fine lines and wrinkles. This is also good for acne scars especially for patients that do not want a laser procedure and peels are just not enough to create improvement. But wait there is more… Dr. Michalak created a proprietary anti-aging formula that is applied after your skin is microneedled. Adding this step creates more efficacy and skin stimulating power. This is an active solution with ingredients proven to be skin rejuvenating. Treatment series are typically 3 to 5 spaced 3-4 weeks apart. The number of treatments will be determined during your consultation. Someone with deeper wrinkles or acne scarring will need more vs. preventative treatments. Cosmetic Surgery and Dermatology offers a variety of treatments including Fraxel Laser, V-Beam and Total FX Co2 laser resurfacing, injectables like Botox, Juvederm, Voluma, Restylane, Radiesse, Sculptra and more. Dr. Michalak also offers comprehensive cosmetic consultations with treatment plans to help patients meet their cosmetic goals. Additionally, we carry select professional skincare brands, SkinCeuticals, Skin Better Science, Glytone and Neostrata that compliment all procedures here in the practice. Contact us for more details, costs or to schedule your microneedling appointment in our Issaquah location. We are a center for excellence in patient care and offer incentives for treatment series.